The latest Blast Pad dominates the competition. We have launched it well over 200 feet! 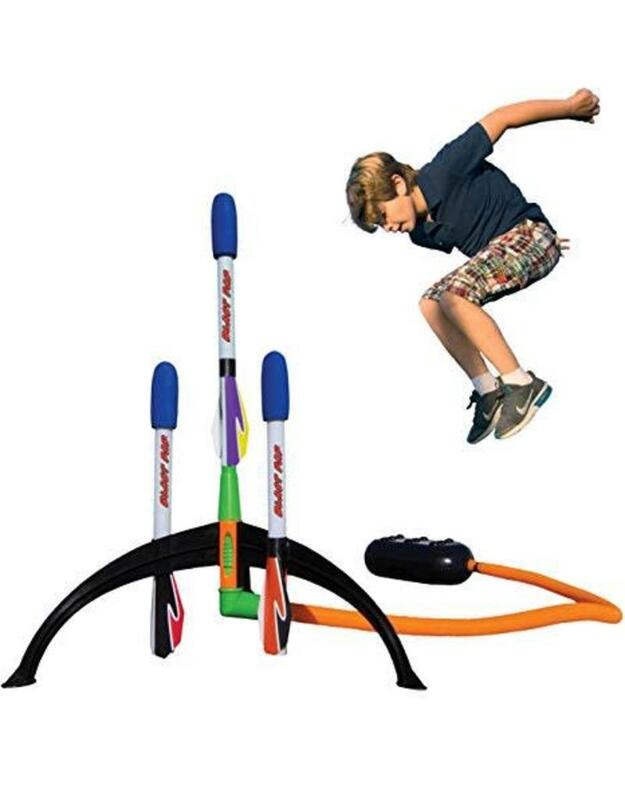 It is designed to handle jump after jump, launch after epic launch. Our rockets will fly higher and stay airborne longer than any other in its class. It's time to get outside and play! We believe it is up to the jumper to determine the actual distance of each launch, but we do stand by our products. Nobody makes a better rocket launcher. We will out-distance anything out there. It's another great toy for active play from Sparky's Emporium of Wondrous Stuff. Kids love to make things fly, especially with their own agility and power. Fun to play with solo, or with groups of friends to see who can launch rockets the highest. Rocket launchers appeal to both boys and girls and are a great solution for birthdays and holidays! It can even be used for lessons in physics, wind dynamics, measuring distance. Makes a great way to blow off steam after school or just to have plain old fun. Kids get the benefit of outdoor activity and the fun you have come to expect from Marky Sparky Toys.